This blog is about a book called Strathclyde and the Anglo-Saxons in the Viking Age, published in October 2014 by Birlinn Books of Edinburgh under their John Donald imprint. 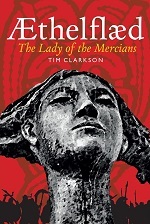 The author is me, Tim Clarkson. I’ll be using this blog as a combination of writer’s diary and historian’s notepad. As well as news about the book itself, I’ll be posting on the history and archaeology of Strathclyde and other parts of Britain in the Viking period. 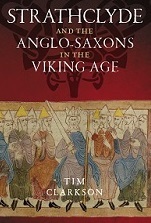 My other books on early medieval Scottish history are listed here. One of them, The Men of the North, deals with the kingdom of ‘Alt Clut’ or Dumbarton which preceded the later kingdom of Strathclyde. Strathclyde and the Anglo-Saxons in the Viking Age is available from Amazon UK and Amazon USA.